Handa stared at me in wide-eyed shock. Over lunch in the basement canteen of our office tower, another young coworker had told us a month-long trip to Europe was an exercise in self-discovery. 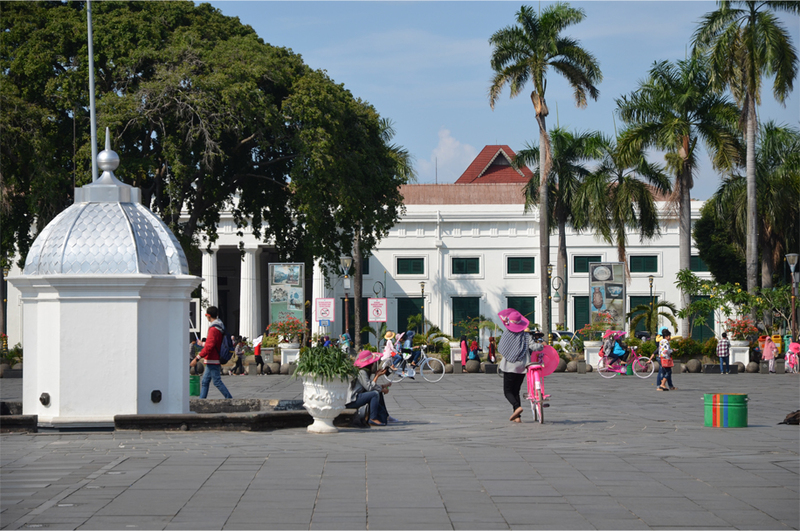 I quipped that Jakarta – and Indonesia by extension – was the place where I’d found myself. She was not the only one perplexed at why I’d left a world of higher wages, landmark efficiency and the convenience of a seamless public transit system to come here. 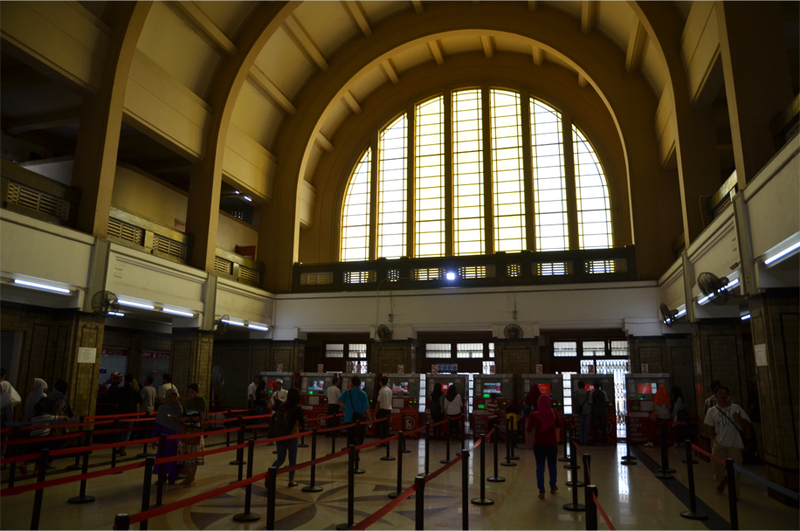 For Jakarta is a tough place, perhaps even unlovable at first glance. 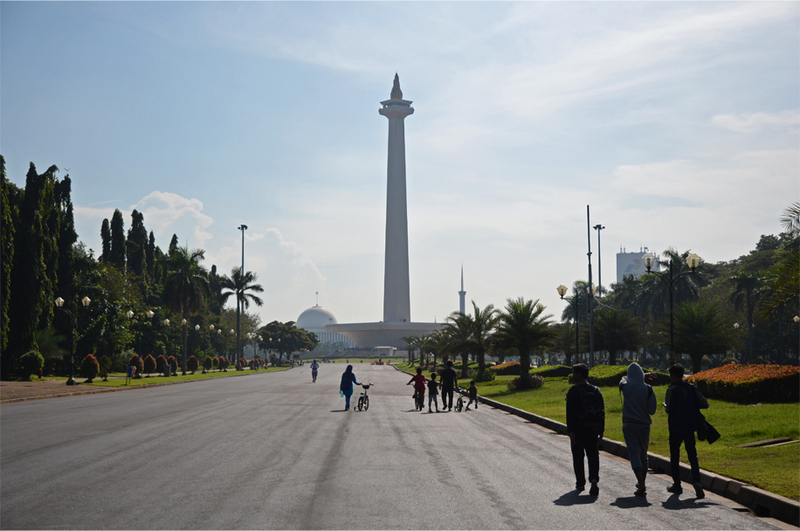 Any short-term visitor is immediately confronted with its infamous traffic snarls, the inescapable signs of environmental degradation and an astounding gulf between rich and poor, but Jakarta is anything but soulless. Two months in, and I still find myself amazed by the vitality of this teeming megalopolis. The sultry air is tinged with a distinctly Indonesian entrepreneurial spirit, an observation shared by a childhood friend in Singapore, along with a former classmate who had also relocated to Jakarta. In this sprawling city of 10 million souls, you might find a jazz-themed chophouse and speakeasy bar named Prohibition, a gospel choir whose powerful singing transports you to the American south, or a musician-turned-chef giving Indonesian dishes the molecular treatment. 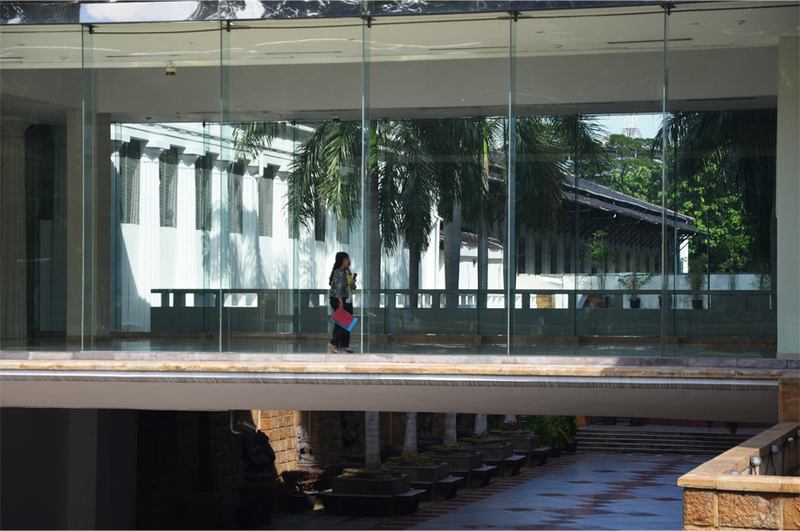 After all, Jakarta isn’t just the political and commercial heart of the country – the thriving arts and culture scene, not to mention an environment that draws many of Indonesia’s brightest minds, is further proof that the city is also its intellectual centre. 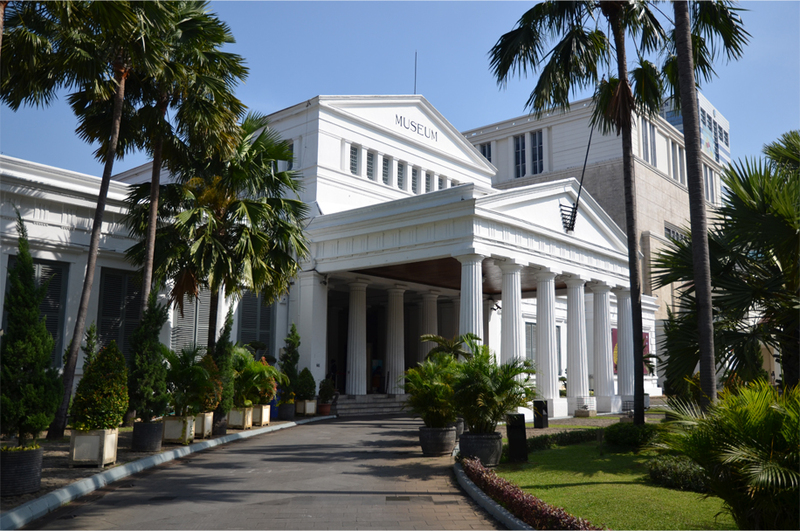 Jakarta is typically the first Indonesian port of call for new ideas and technology from abroad. After being talked about for almost three decades, the first metro line (the MRT) is finally being dug beneath the city. At the initiative of a local environmental NGO, car-free Sundays have become a weekly tradition, opening up otherwise traffic-clogged downtown streets to cyclists, weekend runners, rollerbladers, street performers and those in search of a morning stroll. While the MRT is still a few years from completion, TransJakarta buses, with dedicated lanes and a flat fare across the city-wide network, are a reliable way of getting around. I had my first ride the day after my arrival, but it wasn’t until last weekend that I hopped aboard for a second time to visit the National Museum with Bama. 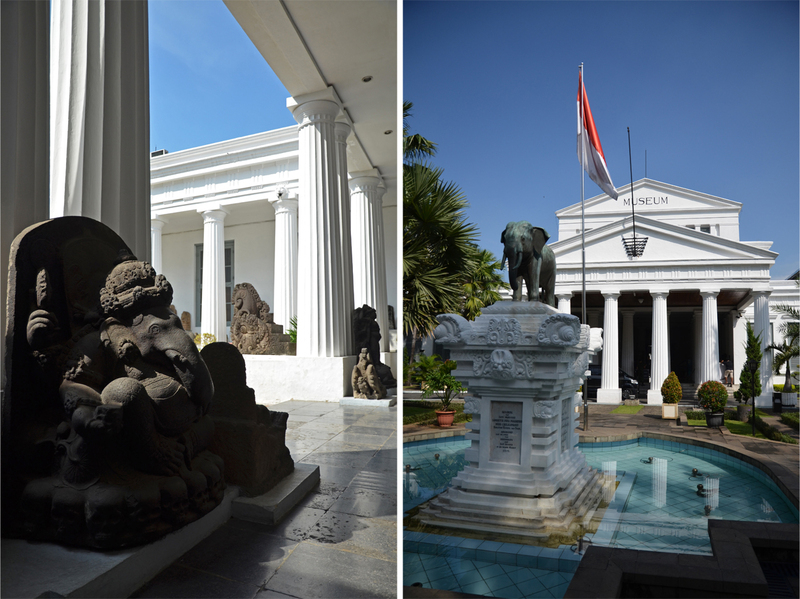 The neoclassical old wing housed an impressive collection of Hindu-Buddhist artifacts: a guardian lion from Borobudur, a colossal statue of a West Sumatran king depicted as the Hindu deity Bhairava, alongside many examples of lingam and yoni (incidentally, Indonesia’s soaring National Monument in neighbouring Merdeka Square is a modern interpretation of a lingam-yoni). 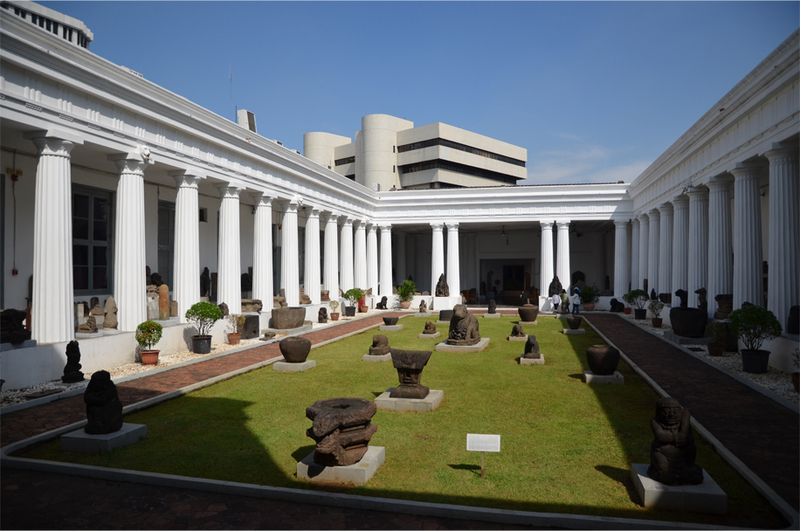 Bama and I spent several hours browsing the galleries before heading north to Kota Tua, Jakarta’s picturesque old town. 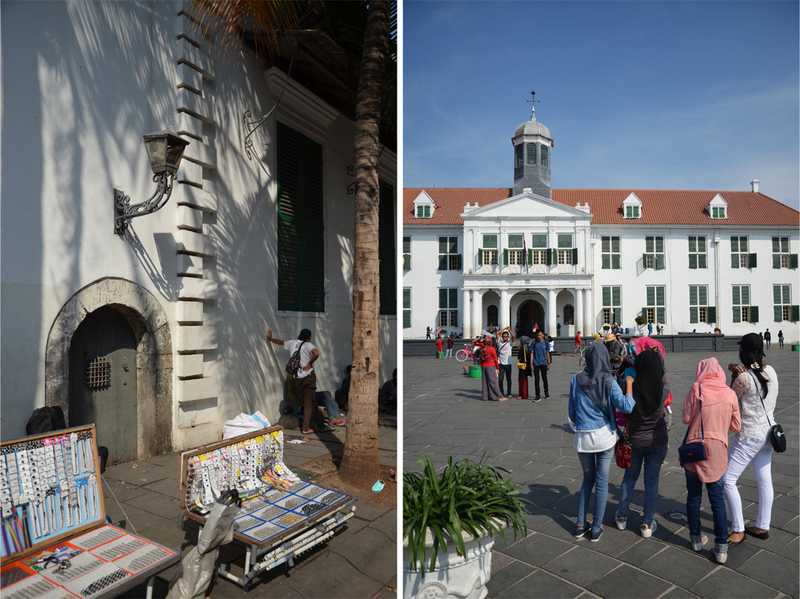 On my last visit four years earlier, Kota Tua was largely rundown and unloved, but a large-scale revitalization project has since brought new life to the area. 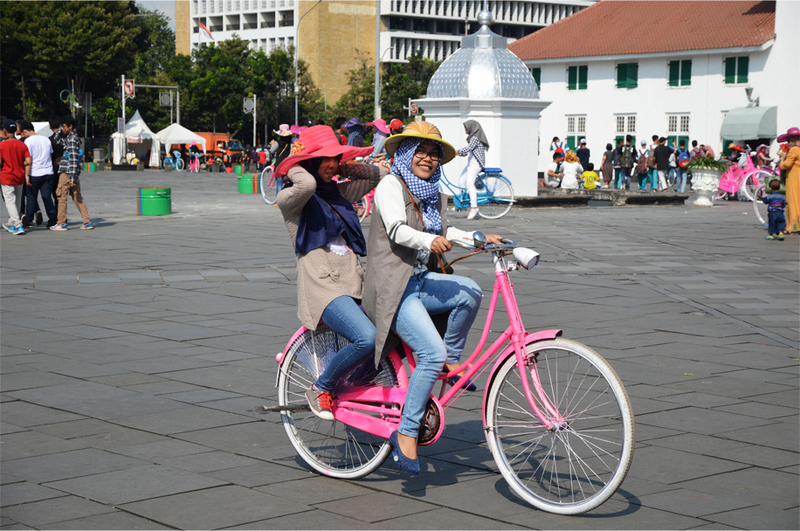 That much was evident on Fatahillah Square, where visitors in wide-brimmed sun hats wheeled across the flagstones on bicycles painted in shades of neon. 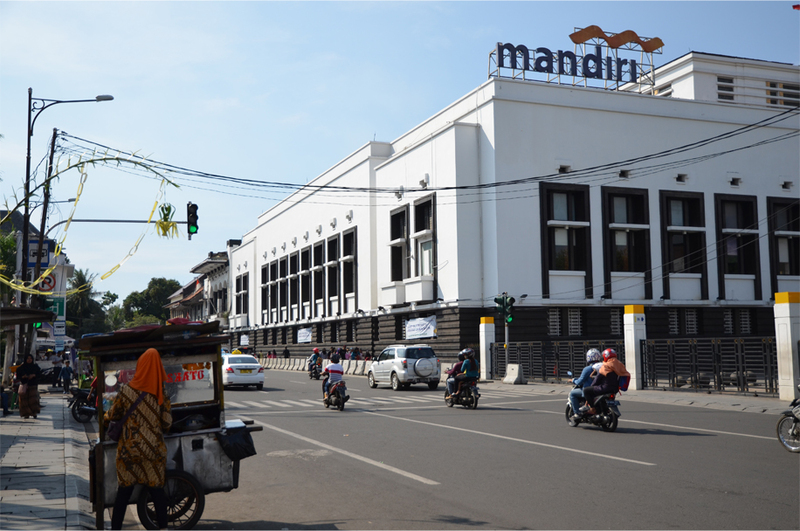 Gedoeng Jasindo, once a roofless, crumbling ruin, had been completely restored with its name proudly displayed in bold Art Deco lettering. The surrounding streets thronged with activity: we strolled past independent coffee shops, painters selling their creations, and saw a legion of food carts lined up beneath an arched metal canopy. “How about dim sum for dinner?” Bama gave me this proposition soon after we returned home. The last time I ever had dim sum was the day I left Hong Kong, a farewell meal with old friends before catching my afternoon flight to Jakarta. But this was altogether different from the no-nonsense, tightly-packed conditions of that particular meal. Instead I was sipping a lychee-flavoured cooler from a jar, nibbling on spring rolls stuffed with mozzarella and har gau, the steamed shrimp dumplings that remain a fixture of my childhood memories. One end of the red-brick restaurant was open to the street, and on shelves decorated with jars and Chinese teapots, small candles flickered in the breeze. Behind a glass screen, the occasional breath of flames leapt up as the chef vigorously shook his wok. How time changes everything — I almost feel like returning after reading your post; especially about no-car-Sundays. 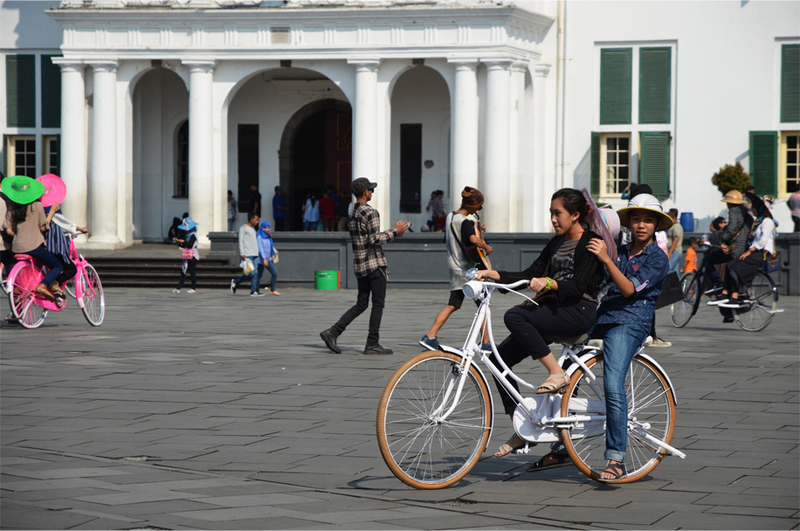 I’m amazed how successful that has been considering Jakarta’s heavy reliance on cars and motorbikes! You will probably still recognise the essence of the city, even if it has grown up a bit. I can see why people love living here though I’ve yet to come to love the city. Enjoy your Jakarta James! Ha, that is a clever way to put it, Aggy. 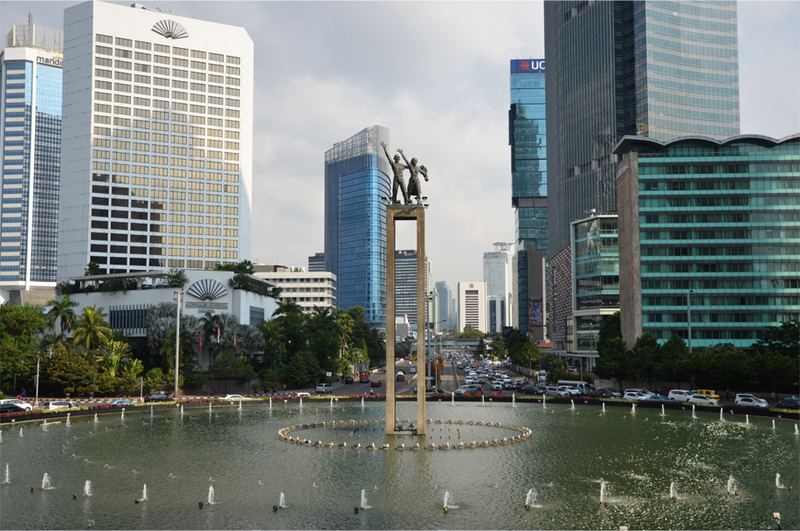 😀 I once read that Jakarta was designed for just 500,000 people… but look at it now! I love the energy and the vibe – and there are parts of the city that I find very beautiful. A genuine love letter! Persuasive, well-written, and also very interesting. You might say everything, every place is what you make it. Very nice. That is so true. 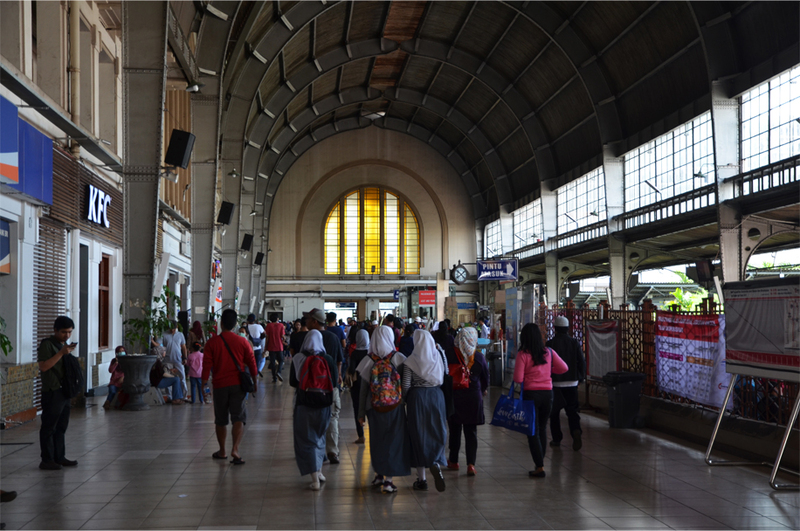 Lots of visitors hate Jakarta without bothering to dig a little deeper beneath the surface. I’m happy that you’re happy in your new city! So much of liking where you are is attitude-driven, and your openness to everything Jakarta has to offer allows you to welcome the new and different and maybe even difficult. Hope you stay in love and that your city loves you back! I hope so too, Lex – some who have lived here far longer say it’s the infatuation of a honeymoon period, but I’d like to prove them wrong! Nice post as always James. Wish I could meet you! No one writes about Jakarta as beautiful as you do, James. At first sight it is indeed a city many love to hate, including me when I moved in 2008. 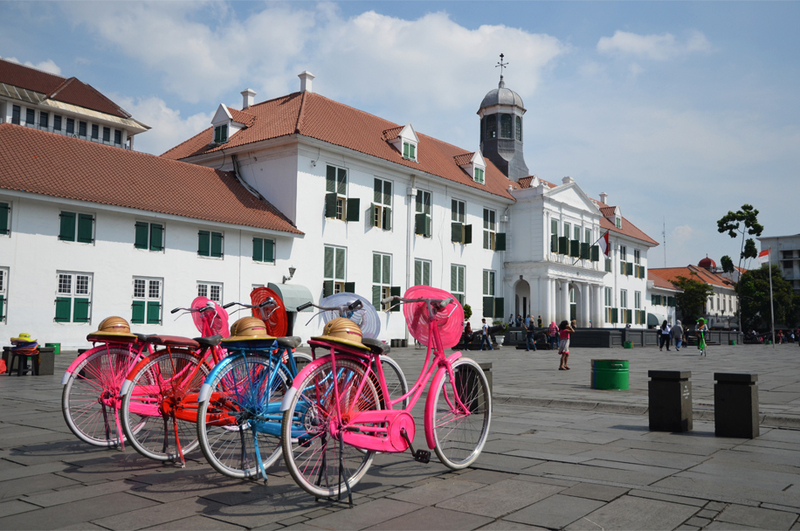 But Jakarta is one of those places which will grow on those who stay a bit longer, meet new interesting people, explore its diverse corners and sample all the street food that is widely available at the city’s nooks and crannies. After living in the city for eight years, I can say that now I’m more optimistic, albeit at times cautious, about Jakarta’s future. You really flatter me, Bama. I have to add that without your guidance, my attitude towards Jakarta (and those initial impressions I had upon moving here) might have turned out very different. Thanks for teaching me to embrace this wonderful, crazy hot mess of a city. A wonderful ode to your new home. Enough to entice me, though Indonesia’s been on the list for a long time. We didn’t get to HK in time for you to show us around, so we’d better make it to Jakarta so you and Bama can show us around there. Please let us know if you and Don are ever in town! It would be an honour to meet you both in person, and we will do our best to show you the street life while introducing some delicious non-spicy local food. 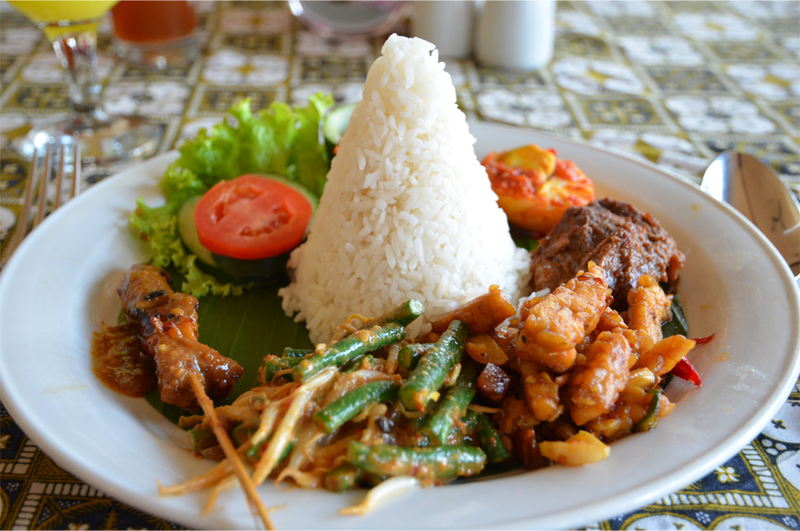 I hope you both love desserts, because Indonesia does them exceptionally well! Oh yes, we both love desserts! Every body has special place in their heart. Your love to Jakarta reminds me how I love Istanbul a lot which brought me to take decision to live in the city instead of come for travelling only. I can still remember when people rolled their eyes when I told them about my decision to move to Istanbul since I had chances to live in other city which is considered by others as more safe and interesting place to live in. Well, I’m glad with my decision. I think, as you, I found myself here. So, Enjoy Jakarta and its every single moment, James. Makasih, Nurul. I’m very thankful that my family and friends were largely supportive of my decision – even if it meant moving to a tougher place and taking on a job that paid less. But I know it was the right choice, and I am so glad to finally be living in Indonesia. I hope life for you in Istanbul is more or less back to normal… it has been sad to watch reports and read about what has happened there in the past six months alone. Your beautiful tribute leaves me in no doubt that it is the chemistry and connection that you form with a place and its people that matters more in the end, than clinical efficiency. Although I would give a lot for a bit more of the latter. “..the MRT is still a few years from completion” that made me smile. I used that sentence in my first post on Chennai in 2012, and our metro system is still a long, long way from complete! 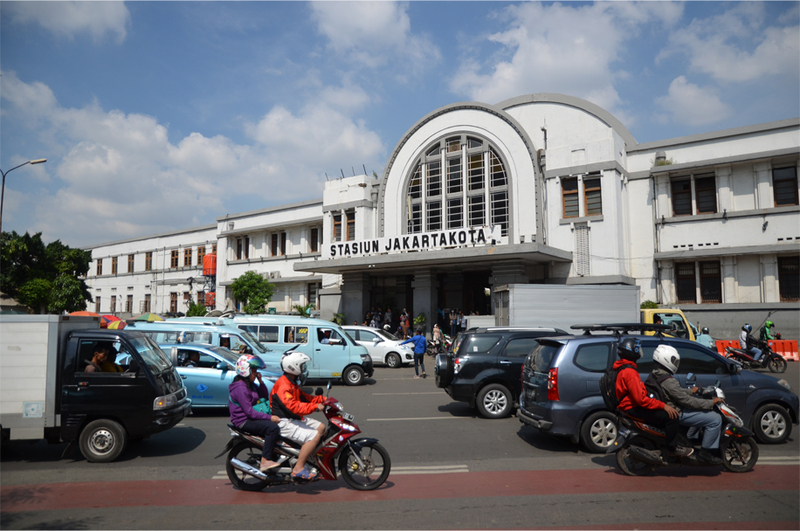 Thank you, Madhu – I’m glad to say that my love of Jakarta has not diminished, in spite of the general inefficiency (I am still getting used to that) and the treacherous walk home through traffic snarls and muddy streets! 🙂 As for the metro system, there were high hopes that it could be finished in time for the 2018 Asian Games, but it’s more likely to be opened the year after.